The crossover segment is packed with tons of options, so you might be wondering why you should get the Mazda CX-5. 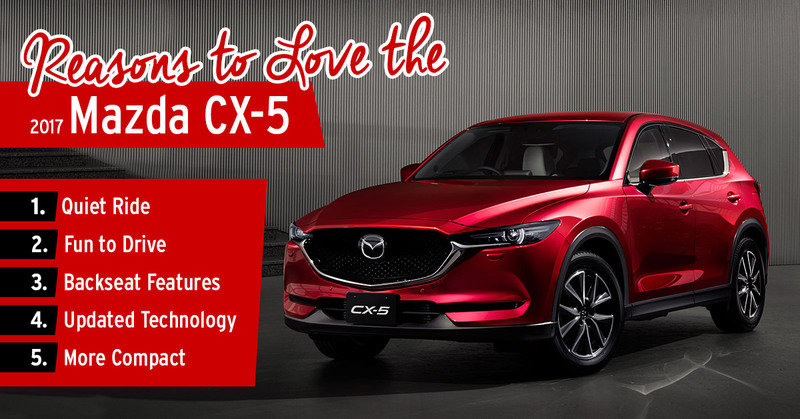 Here’s five awesome reasons why the 2017 CX-5 is the best option. Previous generations of the CX-5 were criticized for having a lot of engine noise, and Mazda listened. The 2017 CX-5 is quieter than ever. Mazda’s known for infusing its affordable and practical everyday rides with a little bit of sporty fun, so the 2017 CX-5 adds a little athletic pep to your daily commute. Usually the front seats get the most attention, but with available features like USB charging ports and air-conditioning vents, plus tons of space, the rear seat passengers don’t take a backseat to the action. From a vehicle information head-up display to a brand-new adaptive cruise control system, the CX-5 is full of new tech. Competitors have been supersized to optimize space, but the CX-5 is versatile and smaller, making it a great city companion on tight streets. 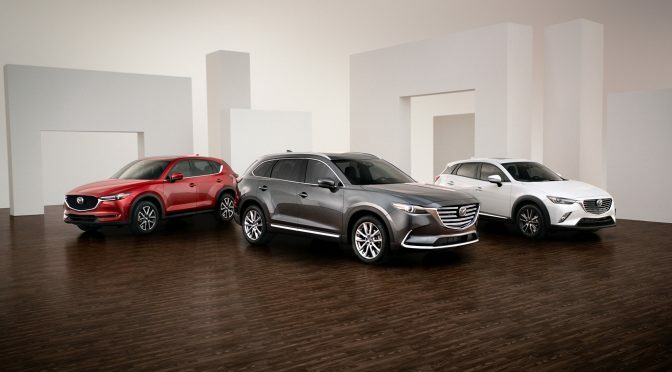 Whether you’re a solo driver or hauling a family, we at Wantagh Mazda think you should get the Mazda CX-5 – it’s affordable, packed with modern amenities, and a fun drive. September was a great month for Mazda. 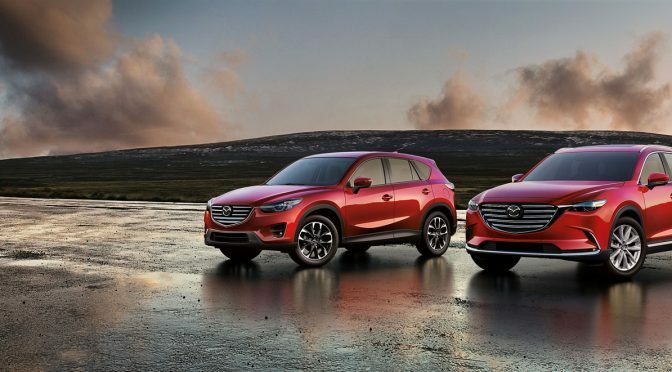 In fact, Mazda set sales records for both the CX-5 and the Mazda6. 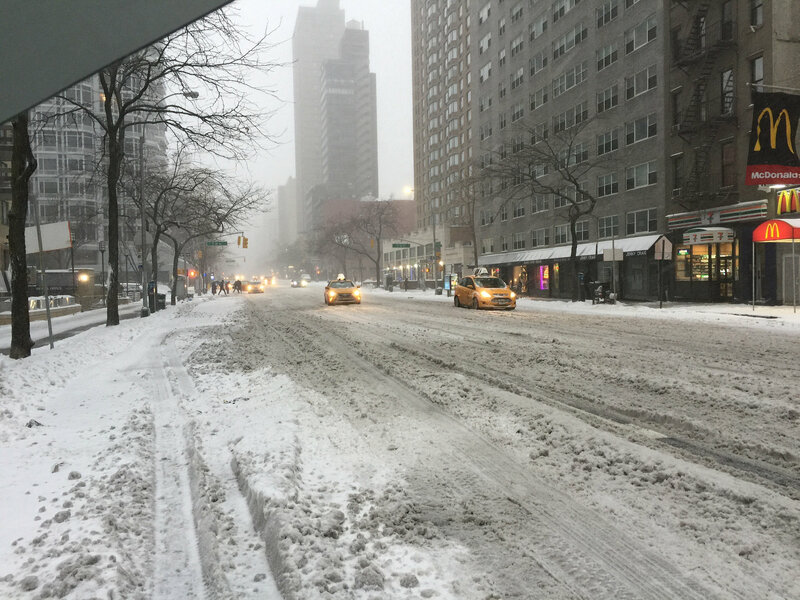 Total vehicle sales in the United States were up 6.7 percent over last year with 23,980 vehicles delivered. With 4,263 vehicles sold, the Mazda6 had its best September since 2005—a 34.6 percent increase over September 2013 sales. The CX-5 also had a great month, with a 28.9 percent year-over-year jump driven by the 8,097 units sold. Helping to boost Mazda’s overall sales is its innovative Skyactiv Technology, which boosts performance and fuel efficiency at the same time. More than 84 percent of Mazda vehicles sold in September were equipped with Skyactiv Technology. Come check out the fuel efficient, stylish, and high-performing Mazda lineup available here at Wantagh Mazda.